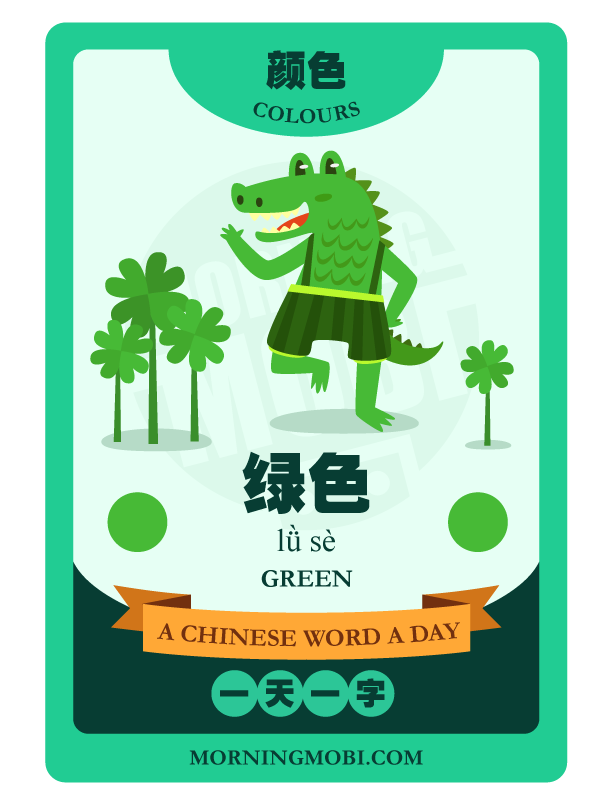 Today’s Chinese word is 绿色 GREEN. This is part of our Colours Series. Join us on Facebook or Twitter to get your daily word update.